Cheesy bites are back at Pizza Hut! So are the Teenage Mutant Ninja Turtles. 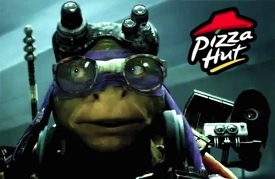 I had some great fun scoring this commercial for Pizza Hut, using some fast spiccato strings to create the tongue-in-cheek drama.